Did you know that the baby-bearing stork myth came about from the habit of storks nesting atop chimneys, down which the new baby would enter the house? Although there won't be any babies falling from the sky, you can still shower your guests with favors they'll love. These gum boxes are perfect on-the-go treats with personalized labels containing the names and date of your event, reminding your guests of you and your little one with every chew. 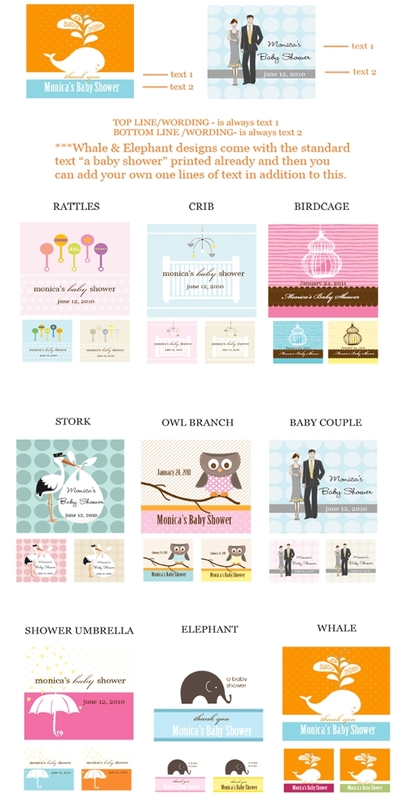 From the traditional stork theme to baby animals and cribs, Elite Designs has the perfect favor to fit your baby shower theme.